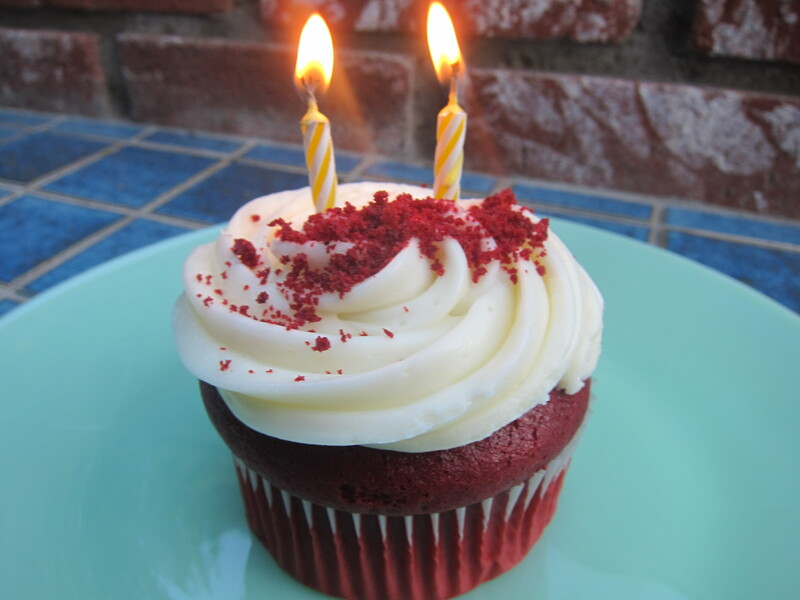 Today is Consuming LA’s two year blogiversary! This blog is truly a labor of love and I’d like to thank all of you who read it regularly. On this momentous occasion, I want to celebrate Oprah-style — by giving away stuff, including $50 gift certificates to some of my favorite restaurants in LA! 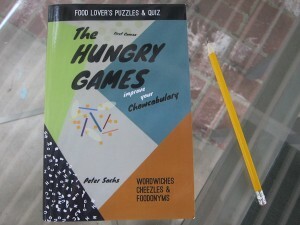 There are twelve prizes in all. $50 Gift Certificate to Stella Rossa Pizza Bar Stella Rossa is an amazing upscale pizza restaurant and wine bar that’s presided over by uber-talent chef Jeff Mahin, who competed on The Taste on ABC recently. 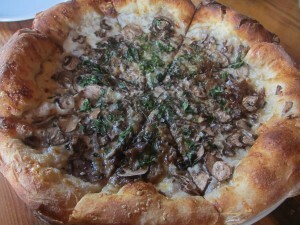 Mahin serves the best pizza in the city, including my favorite, an incredible mushroom and truffle pie. $50 Gift Certificate to Diablo This cool restaurant, which opened in Silverlake last year, serves my favorite fusion tacos in the city. 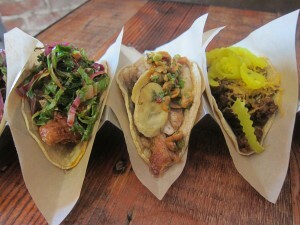 My favorite is the Maple Fried Chicken Taco with Purple Kale and Red Rooster Vinaigrette. Diablo is also a great place to drink and their signature Micheladas are served with yuzu or tomato popsicles and are incredible. $50 Gift Certificate to Little Bear. I love this fun and hip Downtown gastropub, its updated versions of rustic Belgian cuisine and its awesome selection of craft beers. I named their fried oyster and bacon sliders on Greyere cheese puffs my favorite of all dishes that I blogged about last year. $50 Gift Certificate to M Street Kitchen I love peanut butter more than anything and my favorite peanut butter cookies in Los Angeles are baked fresh daily and sold at M Street Kitchen in Santa Monica. 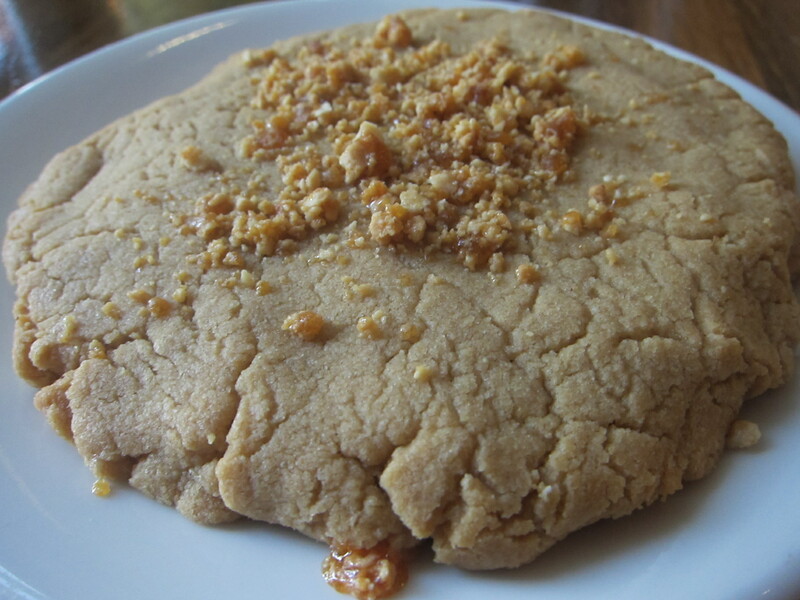 Besides having amazing baked goods, M Street Kitchen is a great casual restaurant with Modern American cuisine. 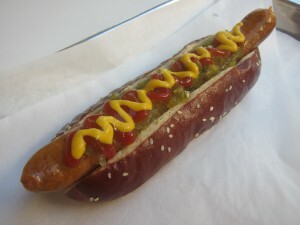 Five winners will each receive a pair of free hot dogs from Fritzi Dog Fritzi Dog is my favorite hot dog joint in LA and my favorite place in the Original Farmer’s Market on Fairfax. Their dogs are insanely good and I also love their wide selection of gourmet toppings and buns, including soft pretzel buns. 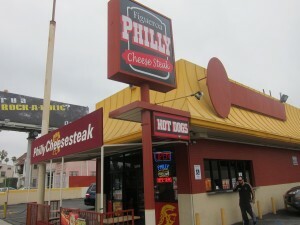 Lunch or Dinner for two at Figueroa Philly I went to around 30 Philly cheesesteak places in LA last year in search of the best and I picked Figueroa Philly (which is right near USC) as my favorite. I love everything about their cheesesteaks, especially the marinated ribeye and Amoroso rolls imported directly from Philadelphia. 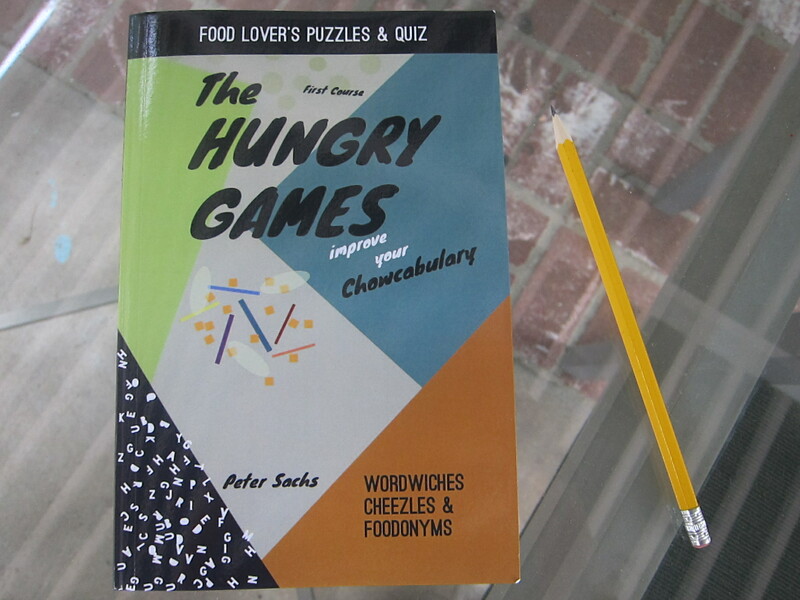 Two winners will receive a copy of “The Hungry Games — Improve Your Chowcabulary,” a newly published puzzle book with great word games and quizzes for food lovers. Please put me on your list! 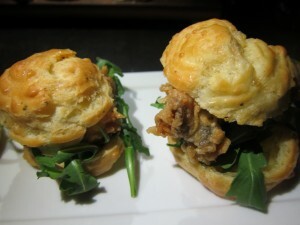 Love your blog and hope you keep me in the know LA culinary style! Thanks Helen! You can subscribe by entering your name and email address in the box on the right hand side of the by blog. After filling that out, you’ll get an email instructing you to click on a link to confirm your subscription.